While I am not a writer, and will never pretend to be. 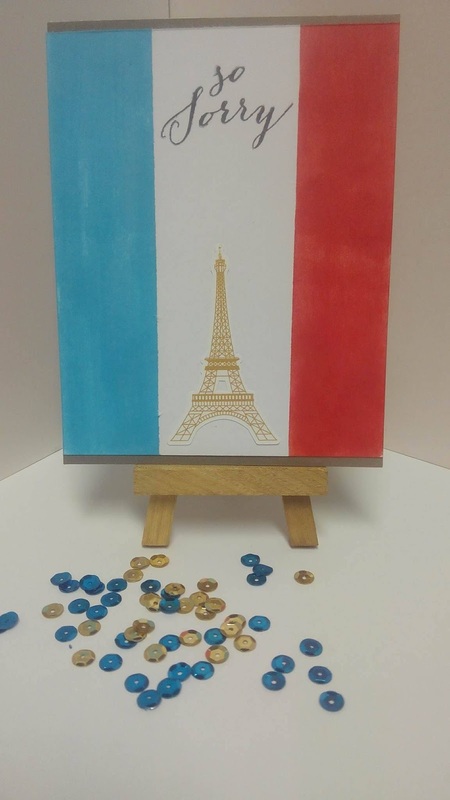 Here I sit writing about the senseless tragedy that took place in Paris, France yesteray (11/13/2015). 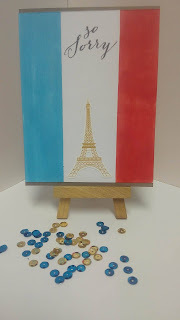 I will be honest, sitting here in my craft room playing on the computer I saw a message from someone pop up that only said "Prayers for Paris". Many things went through my mind... great something happened to another wanna be celebrity and people are going to make a big deal about it was the first. Then I did a little research (turned on CNN) and there it was... shock, dismay and anger all at the same time. It isn't much, but it is from my heart. It won't bring your loved ones back, but hopefully it will give you a little solace knowing that someone is thinking and caring about you. Laura's Loft Shop & Hop- "Winter Wonderland"